Summary: A new study sheds light into the link between lifestyle and the risk of developing dementia. The findings, published in the Journal of Alzheimer’s Disease, shed new light on the relationship between genes, lifestyle risk factors and dementia. Researchers, who tracked participants in the Canadian Study of Health and Aging, found that while carriers of a variant of the ‘apolipoprotein E’ genotype are more likely to develop dementia, inactivity dramatically increases the risk for non-carriers. “The important message here is that being inactive may completely negate the protective effects of a healthy set of genes,” says Jennifer Heisz, an assistant professor in the Department of Kinesiology at McMaster University and co-author of the study. “Given that most individuals are not at genetic risk, physical exercise may be an effective prevention strategy, ” she says. Approximately 47.5-million people worldwide are living with dementia. That number is expected to surge to 115.4 million by the year 2050. With no known cure, there is an urgent need to explore, identify and change lifestyle factors that can reduce dementia risk, say researchers. Approximately 47.5-million people worldwide are living with dementia. That number is expected to surge to 115.4 million by the year 2050. With no known cure, there is an urgent need to explore, identify and change lifestyle factors that can reduce dementia risk, say researchers. NeuroscienceNews.com image is for illustrative purposes only. “A physically active lifestyle helps the brain operate more effectively. However, if a physician were to ask us today what type of exercise to prescribe for a patient to reduce the risk of dementia, the honest answer is ‘we really don’t know’,” says Barbara Fenesi, a postdoctoral fellow at McMaster University and lead author on the study. In a separate ongoing study, researchers are comparing the possible benefits of high-intensity training (HIIT) versus moderate continuous training (MCT) and stretching in older adults. 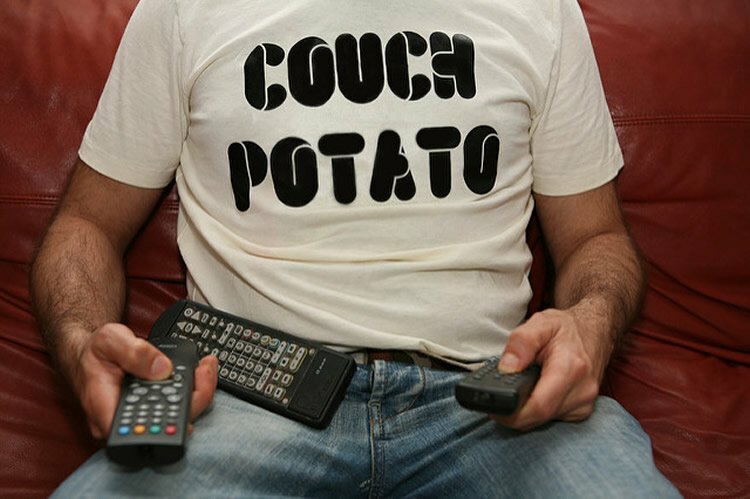 McMaster University “Couch Potatoes Face Same Chance of Dementia as Those With Genetic Risk Factors.” NeuroscienceNews. NeuroscienceNews, 10 January 2017. McMaster University “Couch Potatoes Face Same Chance of Dementia as Those With Genetic Risk Factors.” http://neurosciencenews.com/dementia-genetics-laziness-5907/ (accessed January 10, 2017). Genetics and lifestyle independently determine dementia risk, but the interaction is unclear. We assessed the interactive relationship of apolipoprotein E (APOE) genotype and physical exercise on dementia risk over a 5-year period in 1,646 older adults from the Canadian Study of Health and Aging who were dementia-free at baseline. Physical exercise moderated the relationship between genotype and dementia (p < 0.01). Specifically, for APOE ɛ4 non-carriers, the odds of developing dementia were higher in non-exercisers than exercisers (OR = 1.98, 95% CI = 1.44, 2.71, p < 0.001), whereas, for APOE ɛ4 carriers, the odds of developing dementia were not significantly different between non-exercisers and exercisers (OR = 0.71, 95% CI = 0.46, 1.31, p = 0.34). Given that most individuals are not at genetic risk, physical exercise may be an effective strategy for preventing dementia.